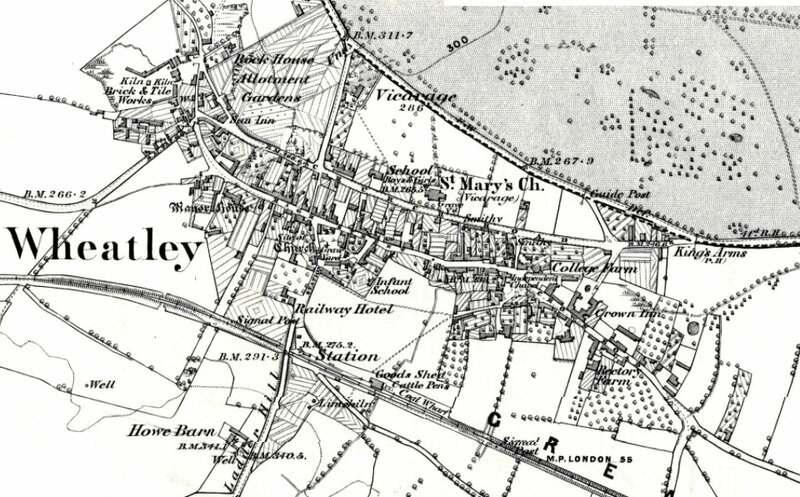 OS Map dated from 1876-1880. 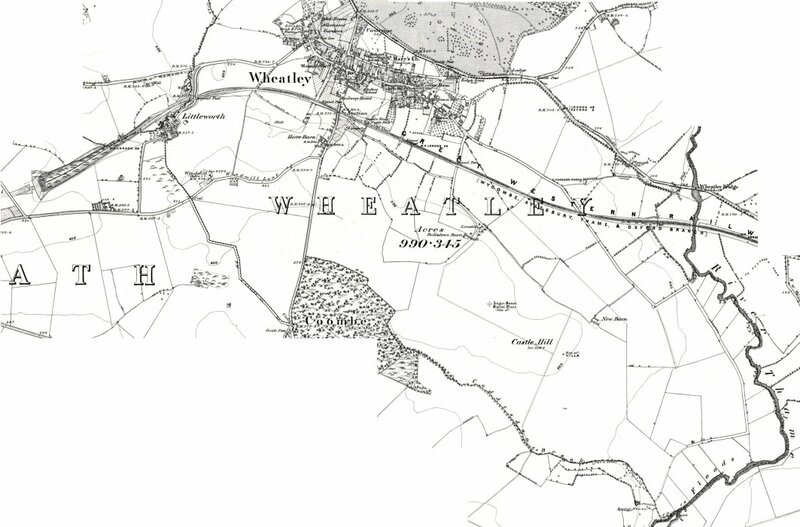 It shows Wheatley, Waterstock and Hors(e)path, Miltons, Garsington and Toot Baldon. 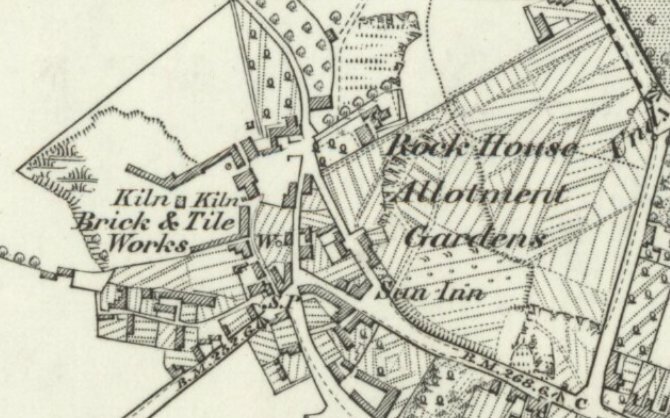 The detail shows the brick and tile works and also Rock House and the allotment gardens, although the precise area that these occupied is not clear. The pit was still in the southern part (later Templars Close and the recreation ground, the latter having been filled in during the 1940s). See record 492 for details of brick-making using lime. 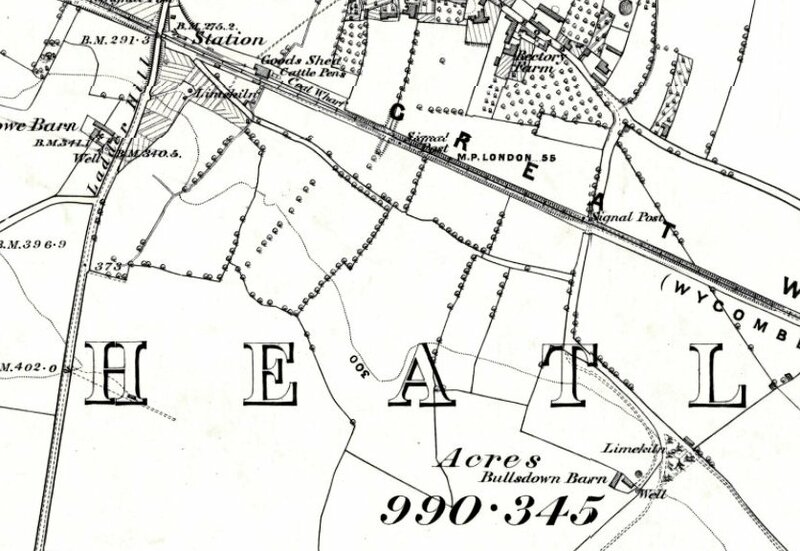 An extract of this OS map 1880 shows two other lime kilns, one adjacent to the station and the other by the copse on the way up to Castle Hill Farm from Jackies Lane.